September 22nd 2018, 7pm: Kellan will be appearing at Bookends 2018 at the Victory Hall, Benderloch village near Oban. February 19th 2018, 7.30pm: Kellan will be talking to the Edinburgh Writers Club about writing non-fiction. November 2nd 2017: Kellan will be talking to Friends of the Pentlands about his first book Caleb’s List, Climbing the Scottish Mountains Visible from Arthur’s Seat. August 17th 2017, 6-8pm: Kellan will be appearing at Blackwell’s Writers at the Fringe part of the Edinburgh Festival Fringe. If you would like Kellan to speak to or work with your business or organisation then please get in touch. Kellan MacInnes has been climbing the Scottish mountains since he was a teenager. A published writer, he is an acknowledged authority on mountaineering and Scotland in general. Kellan also has wide experience of the issues around living with HIV such as resilience, overcoming adversity, motivation and employability. Kellan is an articulate, unassuming, often humorous but at the same time inspirational speaker. 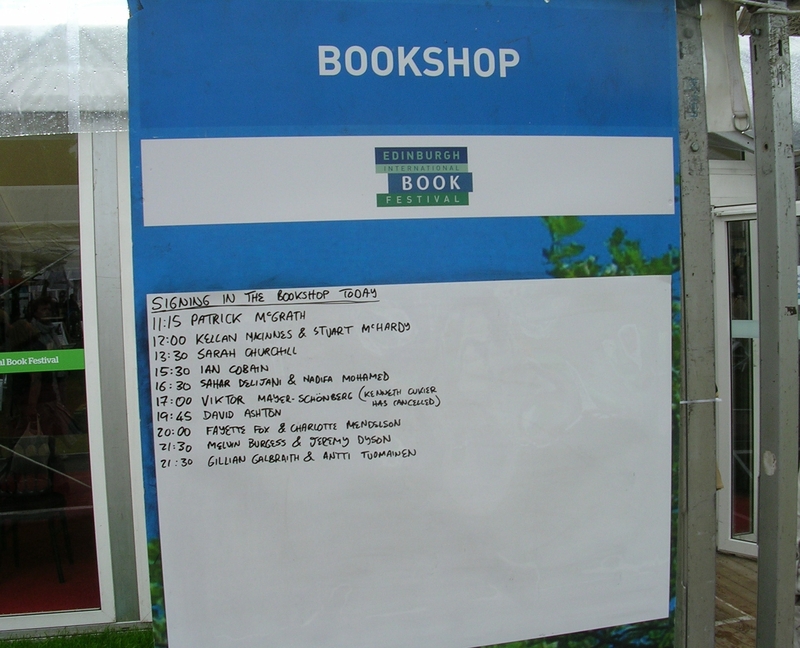 Since the publication of his first book Caleb’s List in 2013 Kellan MacInnes has appeared at the Edinburgh International Book Festival, the Edinburgh Festival Fringe, Tradfest, the Portobello Book Festival, the Leafing Through Natural Scotland Book Festival, Midfest, Previously (Scotland’s History Festival) and Stockfest. Kellan has also appeared at the Borders Walking Festival as well speaking to the Milngavie Mountaineering Club, the Grampian Hillwalking Club and the Ochils Mountaineering Club. He has also spoken at events organised by the Colinton Lit, Edinburgh City Libraries, the National Collective and the Arran Antiquarians. May 31st 2017, 6pm: Meet the Author and Book Signing at Picaresque Books, 55 High Street, Dingwall, IV15 9HL. Free event. June 1st 2017, 7.30pm: Kellan will be talking about The Making of Mickey Bell at Aviemore Community Centre, Muirton, Aviemore, PH22 1SF. Free event. April 10th 2017, 2.30pm: Kellan will be talking about The Making of Mickey Bell at Oban Library, 77 Albany Street, Oban, PA34 4AL.Free event. March 21st 2017, 7.30pm, Glen Mhor Hotel, 7-17 Ness Bank, Inverness IV2 4SG: Kellan will be discussing his debut novel The Making of Mickey Bell at the Highland Literary Salon. Free event. March 9th 2017, 6-7.15pm, The Mitchell Library, North Street, Glasgow G3 7DN: Kellan will be taking part in the Scottish Writers’ Centre SpeakEasy at Aye Write! 2017. Free Event. March 12th 2017, 6-8pm, The Mitchell Library, North Street, Glasgow G3 7DN: Kellan will be taking part in Sudden Fame at Aye Write! 2017. Free Event. Wednesday 9 November 2016: Kellan discussing his new novel The Making of Mickey Bell at the Colinton Literary Society in Edinburgh. Saturday 24 September 2016 7pm-1am: Book Launch Party for The Making of Mickey Bell. If you’d like an invite please get in touch using the contact form on the website. Sunday 12 June 2016 at 2pm: Kellan will be talking about his first book Caleb’s List at The Sheep Heid Inn, 43 The Causeway, Edinburgh, EH15 3QA. This event is free but ticketed and is part of LEAP Scotland’s Festival Fortnight. Saturday 5 March 2016: Kellan will be talking to the Saltire Society in Edinburgh. Kellan talking to the Saltire Society in Edinburgh. Friday 20 November 2015: Kellan will be the after dinner speaker at a meeting of the Cairngorm Club in Aberdeen.